I have been reading Jerry Coyne’s new book, Faith vs Fact, and the evolutionary biologist makes a clear point that scientific understanding evolves as much as biological entities. In his book (which is a solid testimony of what science is really about), Coyne reminds us that “Absolute and unalterable truth is for mathematics and logic, not empirically based science.” He reinforces that sentiment with examples of how our understanding of diverse realms such as astrophysics and biology have mutated with the advent of new knowledge and new theories. There is the implied caution that we shan’t be too comfortable in our current state of scientific brilliance: tomorrow’s Rutherford may see the career of today’s Lord Kelvin end in a similarly pitiable heap of discredit. I briefly set aside my copy of Faith vs Fact and read a brief note from Science AAAS/News: “Earth’s colossal crater count complete.” That’s a rather unambiguous statement of scientific empiricism. 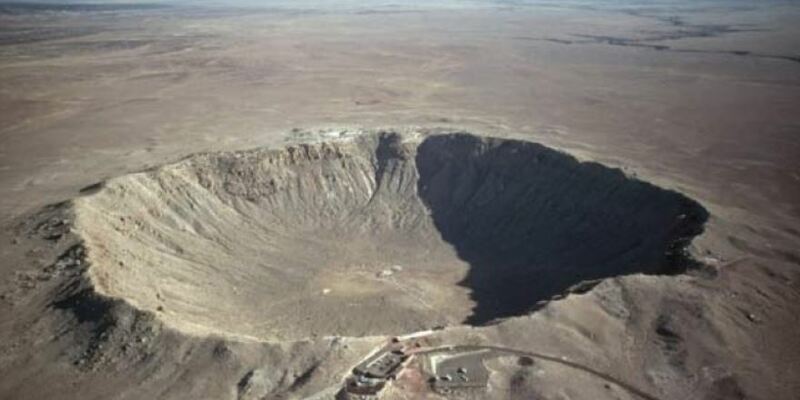 The article claims that there are precisely 128 large impact craters on the surface of the Earth. Of those, 70 have diameters greater than 6 kilometres. And, says the Science piece, no more are left to be discovered. We have found them all. It is a bold statement, but there will be a fall from grace when another crater is discovered – either after melting ice exposes Greenland or Antarctica to careful examination or in some hither-to-undiagnosed ring of crumpled earth. The original paper of this crater-count study, to be published in a September issue of Earth and Planetary Science Letters, is less unambiguous than the leader-column that appears in Science AAAS/News. In the original’s abstract, the research geophysicists make the less bold statement that the crater inventory is “probably complete.” I am comfortable with that caveat, but I wonder how many news organizations sold their stories based on the promo release and didn’t bother to read the fine print. The most important point in the paper by Stefan Hergarten and Thomas Kenkmann (The number of impact craters on Earth: Any room for further discoveries?) is their calculation that there are approximately 340 smaller unknown craters with diameters between 250 metres and 6 kilometres which aspiring explorers may seek. To make this estimate, researchers Hergarten and Kenkmann, both at the University of Freiburg, considered the number of meteorites that strike our atmosphere, the number of strikes that result in meteors which create craters, and the endurance rate of those craters. Meteor Crater in Arizona: Slowly eroding. On the Earth, a conspiracy of wind, rain, and ice reduces craters to plains. The oceans, of course, mostly absorb impacts without building any craters. And a small portion of impact craters are digested at tectonic subduction boundaries. Mars – with no oceans, a thin atmosphere and no active surface tectonics – has about 300,000 visible craters; the moon has millions. By the way, even in its lunar vacuum, the moon’s seismically dead surface is still affected by a thin cloud of dust which very, very slowly erodes structural features. One day Neil Armstrong’s lunar footprint will live only as an image in a future species’ data storage. Today’s smaller lunar craters will flatten. But it will take billions of years. Why should we seek these small unknown Earth-craters? Because each has the potential to reveal some new nugget of science fact. Craters, for example, have taught us most of what we know about mineralogical changes due to extreme heat and pressure – industrial applications have resulted. Each new crater also has the potential to reveal some literal nugget in the form of a fresh meteorite which may tell us more about the solar system or even (though less likely) about life on Mars. And finally, geophysicists will seek the remaining craters just to satisfy insatiable curiosity and to be able to announce – perhaps a hundred years from now – that all the craters have been discovered. But even then, they will probably be wrong. This entry was posted in Exploration, Geology, Space and tagged craters, Jerry Coyne. Bookmark the permalink. We are indeed living in a billiard room. Because of the intense weather features that do inhabit our planet it is amazing not only that we have found as many craters as we have but equally its amazing how big the blind spot may be. And what about those punctuated catastrophes that appear in the records? The geologists are clever in their extrapolation of the data, but I often wonder how much of geologist assumption (of gradualism) overlooks the catastrophic (for example of extra-terrestrial incursions) that has not only changed the face of the planet but also the evolution of organisms. The change is dramatic and dynamic, changing on every level. History ought to be thought of as geohistory. Agreed. Except that you are perhaps selling the majority of modern geologists short with the idea that they overlook the importance of catastrophic events. Most see these as extremely important – as do you, apparently. Thanks for your comments. Your statement that “History ought to be thought of as geohistory” is a gem. Oh yes I agree, didn’t mean to suggest selling them short. Holmes was pure genious. At 20, he was the first to use radioactive decay rates to calculate that the Earth is over a billion years old – and that experiment was done a century ago. You will like this post – an Arthur Holmes mini-biography. Consider also Bertram Boltwood, acting on a suggestion from Rutherford. Good mini-vita in Wikipedia. Thanks for the reddit suggestion. It’s there now.